Island Mommy Living: I was featured! THIS IS BIG! I was featured! THIS IS BIG! You have to understand that this is a big deal in my little world. 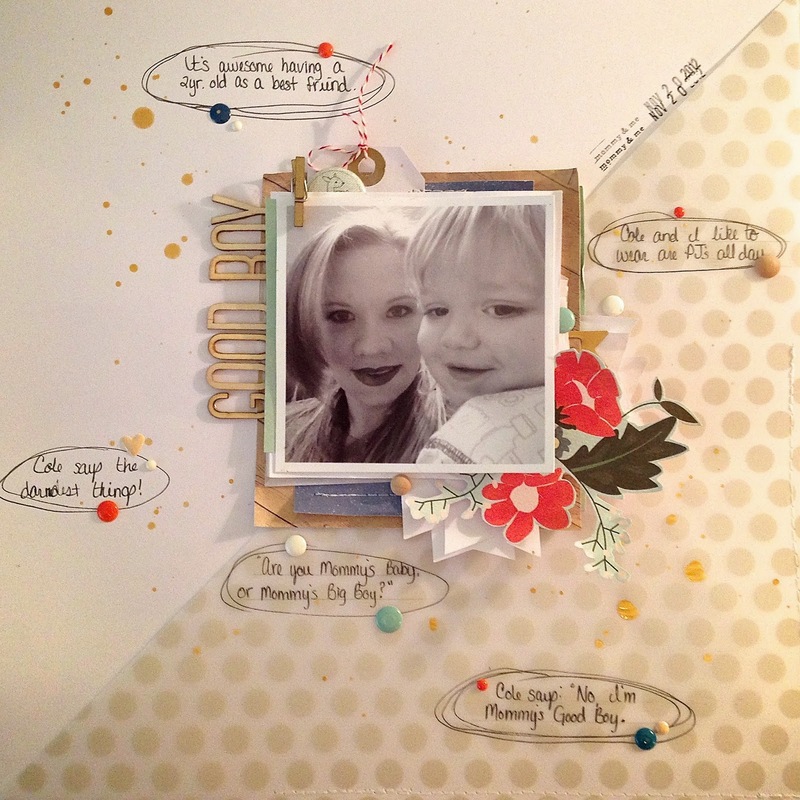 Scrapbooking, to me, is a form of art. Most of the pages I create have photos of my beautiful son, bragging about what an incredible and perfect little angel he is (ha). I pick color, pattern, and embellishment combinations that I like and arrange them just so. It's a very personal reflection of who I am. Now, to have other artists look at my page and decide it's one of their favorites makes me feel so confident and proud of my work. I'm going to be published in SCRAP365 Magazine along with the four other featured scrappers. Scrap365 is Britain's BIGGEST bimonthly scrapbooking magazine. I will design and create a few layouts for their next issue. You better believe that all my pages will be splashed with my angel-child son. I'm still in shock. But, I better snap out of it soon and get to work. That layout is wonderful! Great design and I love those journaling spots!